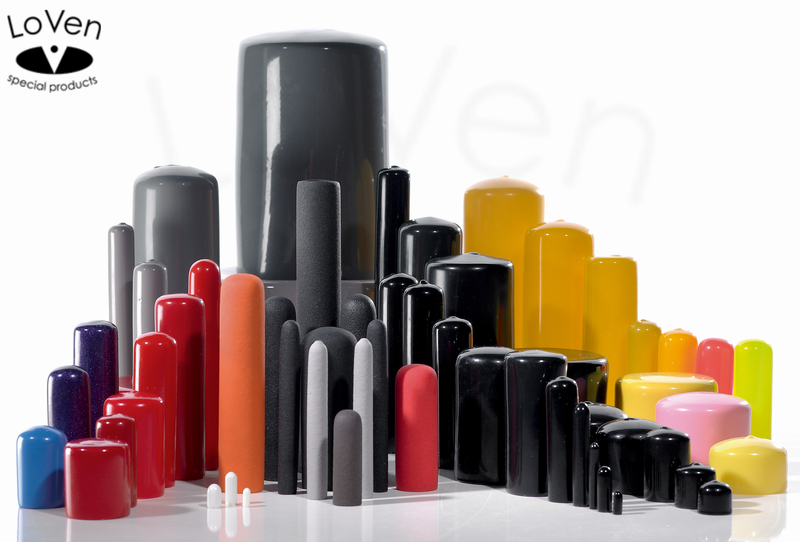 European market leader in special and standard dip moulded products. As standard, we use phthalate-free black, yellow, red and fluorescent green material. All ingredients are individually FDA approved. 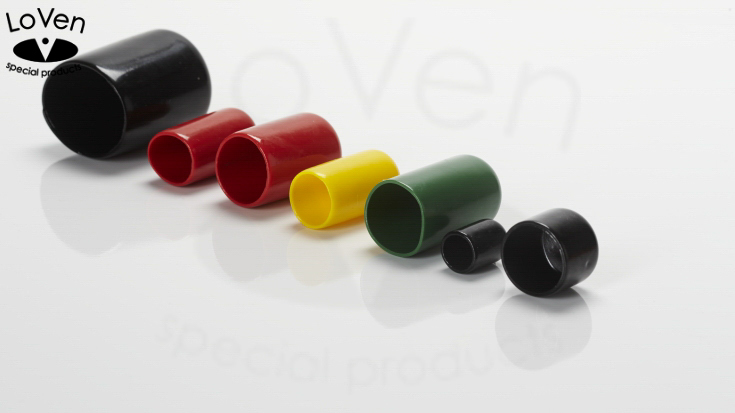 Plastic caps represent one of our largest product categories at LoVen and available in a variety of different shapes, sizes and colors. 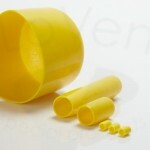 Our plastic caps can be added to almost any item to create a safer home or work environment. 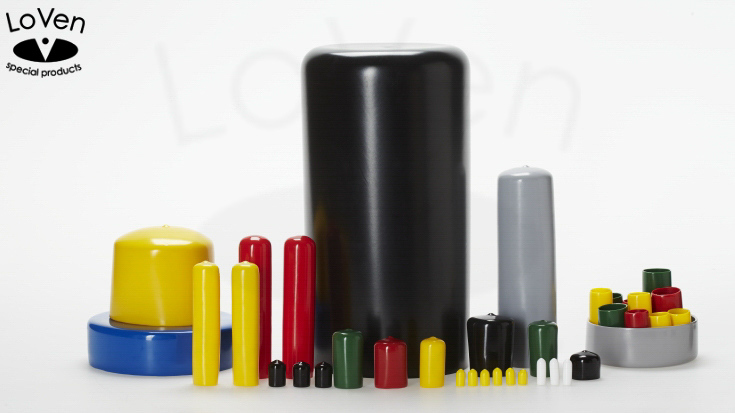 Our different lines of plastic caps have many uses in various industries, ranging from preventative measures to use in paint masking applications. 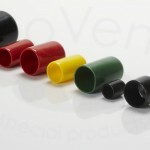 Custom plastic caps can be produced in many different durometers, colors, wall thickness, and lengths. 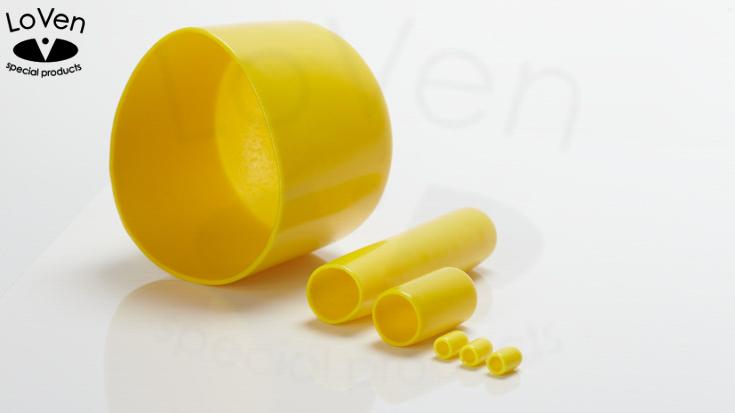 Our flexible moulding process also means that our plastic caps can be made in longer lengths than traditional plastic caps. Our design and custom production capabilities are unmatched in the industry. 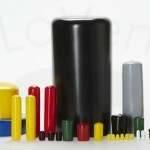 LoVen also offers the option to print logos or company names on your plastic caps. 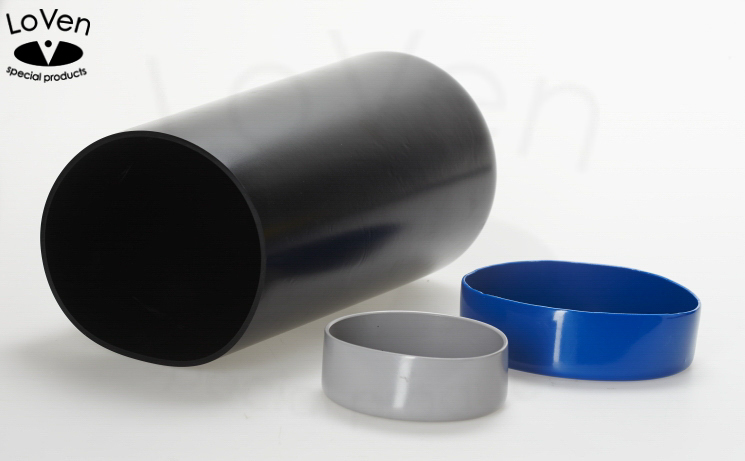 If you need a custom plastic end cap, please contact us for more information or free samples. LoVen Special Products maakt producten middels de dompeltechniek. Met dompelen worden uw producten voorzien van een duurzame bescherming en/of verfraaiing. 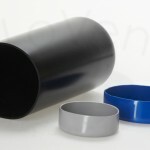 Ook flexibele kunststofproducten zoals doppen, beschermhulzen, vinyl caps, plastic caps of special products worden middels dezelfde techniek geproduceerd.